Sonia James has more than 19 years of experience in the healthcare industry. As Executive Consultant for Medical Management Services, Sonia specializes in enhancing reimbursement for current medical billing operations through manual system assessments, identifying process improvement opportunities, efficient capitalization of billing system functionality and development and conveyance of knowledge management deliverables. Sonia’s diverse experience across multiple billing functions, coupled with her frontline experience in capturing accurate patient billing information, provides her with an extensive understanding of provider reimbursement management. Sonia began her career in the primary care office setting expanding to the medical billing arena. This background provides Sonia the foundation used to evaluate, improve and implement processes related to both billing and operations. Her diverse experience makes her a cross-functional expert in the areas of financial advocacy, customer service, knowledge management, claims research, managed care, provider enrollment, credentialing, and process improvement. 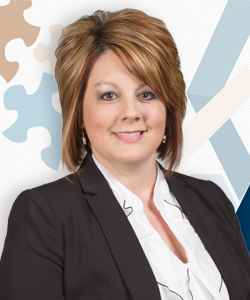 Her professional skill set brings an experience driven vantage point to analyzing, identifying, and developing plans resulting in the accurate and efficient processing of insurance claims. Sonia is an active volunteer in her community and serves in several local organizations such as the American Cancer Society.